In honour of Halloween the Skeleton Crew Challenge runs from the 25th - 31st October. It's a great way to earn all that Halloween treats! Row and/or ski at least 31,000 metres between October 25 and October 31. Indoor rower and SkiErg meters only (no on water/on snow metres please). You can combine meters from each machine to reach 31,000 metres. 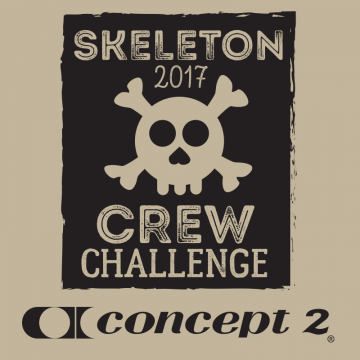 Kid's Skeleton Crew Challenge allows kids (aged 16 and under) to participate at 10,000 metres. Adaptive athletes can choose to participate at the 10,000 or 31,000 metre level. Name inclusion on the Skeleton Crew Honor Boards. The option to purchase Skeleton Crew goodies at our third-party fulfillment vendor (availability varies by country).